Since I teach 4th grade, the students are still at an age where they decorate a bag or shoebox and make Valentine deliveries to classmates in honor of Valentine’s Day. Many of my sweet students bring me a Valentine along with the Valentines they share with classmates. I like to reciprocate and give my students a cute Valentine too. 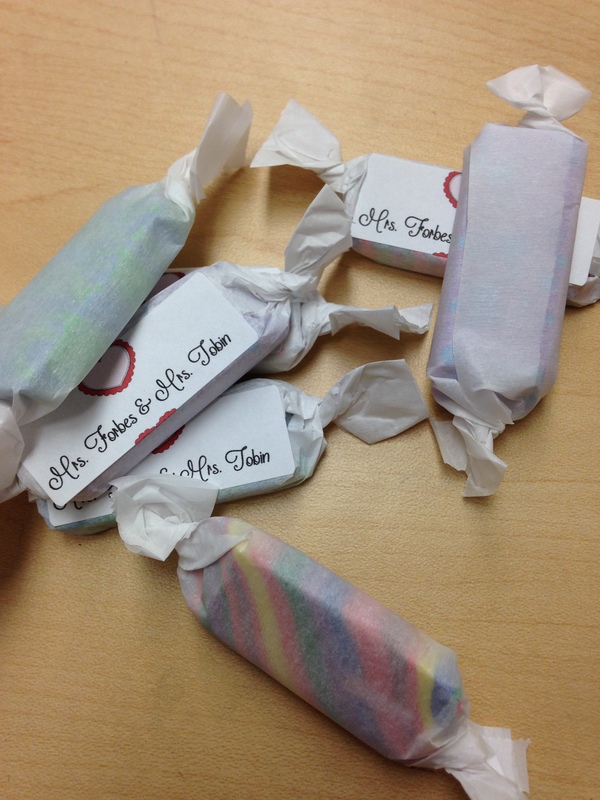 This year, my teacher teammate and I are wrapping erasers with white tissue paper to look like a piece of taffy. At this point in the school year, the students have rubbed, chewed, or picked away every pencil eraser they own and desperately need a way to cleanly fix writing mistakes or remove stray marks from their papers, so this little Valentine is actually more of a gift for the teachers! Determine the tissue paper size you will need. I wrapped the tissue around one eraser, so the tissue covered the wide flat side two times. 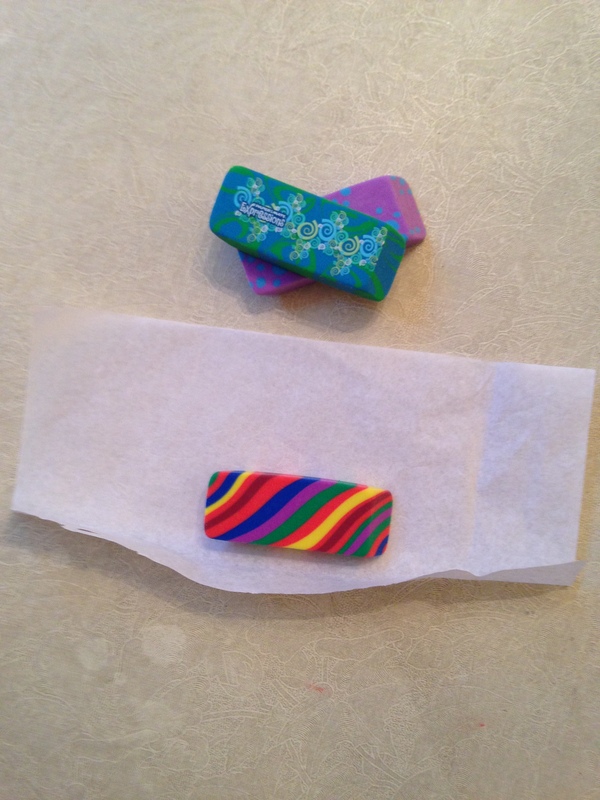 I had about 2 inches on either end of the eraser for twisting. Cut all of the tissue paper rectangles that you need first, so you can create an assembly line for wrapping the erasers. 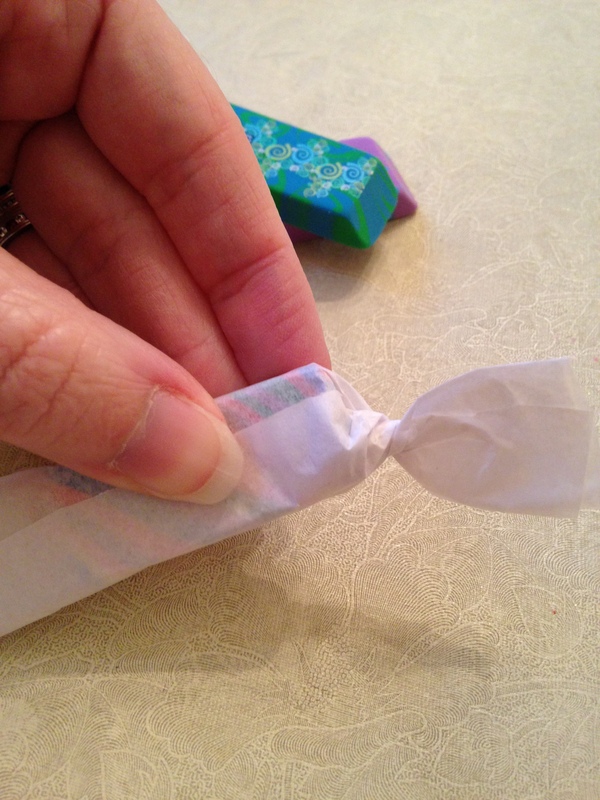 Wrap a tissue rectangle around each eraser and twist both ends. Put a sticker with your name and/or Valentine message on the side of the eraser with the edge of the tissue paper to keep the tissue from unwrapping. I had a tiny glitch with my labels. If you choose to print with a return address sized label like I did (Avery 5195), make sure your words or any images are not up against the edges of the label in the document. 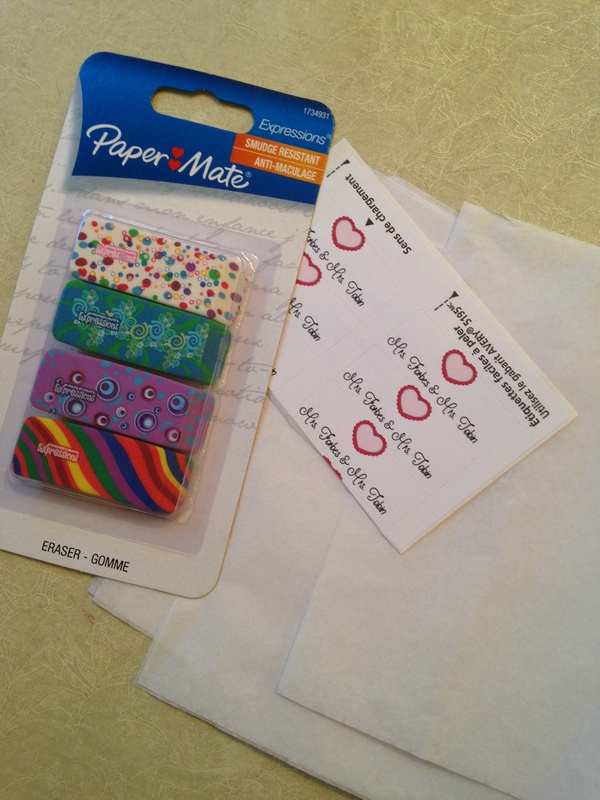 The labels are so small that if the printer does not grab the label sheet at exactly the right starting point, the labels print into the label below (see my cut off hearts in the pictures). Yes, the mis-alignment makes me CRAZY, but I ran out of labels and I am trying not to let the OCD side of me take over on this. I think little heart or Valentine themed stickers would be a good option too. Cut the edge of the twisted ends off a little if they seem too long and flappy. I tried parchment paper and wax paper before settling on the white tissue paper. 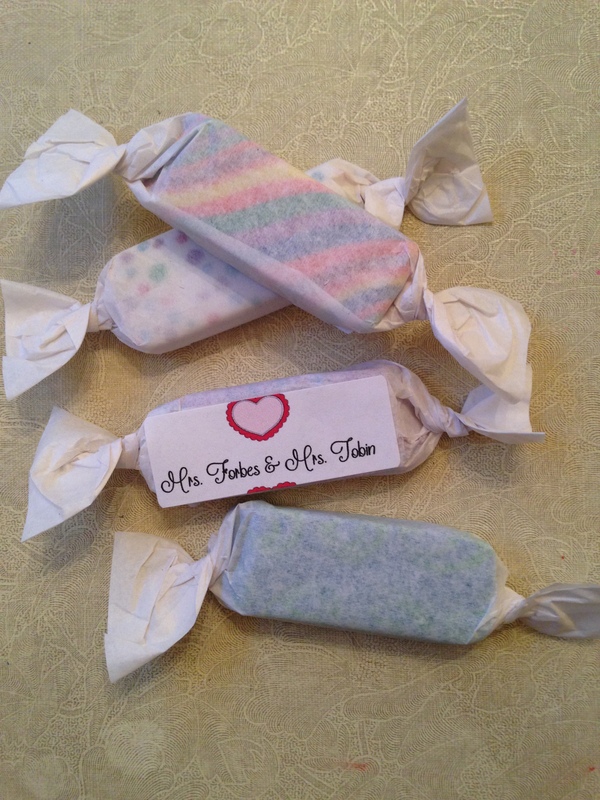 The stickers don’t adhere, and the twisted ends with the parchment and wax paper do not stay twisted together as well. Very cute idea. I love it. Thanks 😊 for sharing. You always have such excellent ideas.